Are you looking for a new or used car? Are you worried about your credit score? Don’t worry! Speedcraft Nissan in West Warwick is proud to offer our credit challenged guests a team dedicated to help them secure an auto loan regardless of their credit situation. We’ve helped thousands of customers in West Warwick, RI with bad credit, no credit, past and present bankruptcies get financed for a new or used car. Credit scores are very important when it comes to buying cars, houses, and more. We know credit scores can drop no matter what your financial position may be. Medical bills and credit card debt can pile up, along with, your monthly expenses. Life happens. We want to offer our services to help you get where you need to go inside your new vehicle. For drivers living around the Providence RI area with bad credit, we are ready to give you options with an auto loan that is right for you. 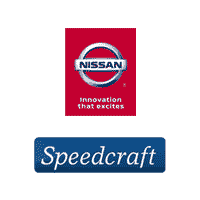 Here at Speedcraft Nissan, we want to help you find the car, truck, or SUV you’re looking for. Your credit score will determine the amount of money you can borrow to purchase your vehicle. Your score will also determine the interest rate and term on your auto loan. Our finance team is ready to work with you on finding the right car and coming up with a plan that fits your budget. Our team has a lot of experience and can help answer any of your questions. On our website, we have plenty of great tools for you to use. We have calculators for your payments, fuel savings, and trade-in values. We also have protection plans for you if you’re interested. You can apply for financing with us here to start the car buying process. If you have any more questions about financing, you can visit our dealership and talk with a representative from our special finance team. 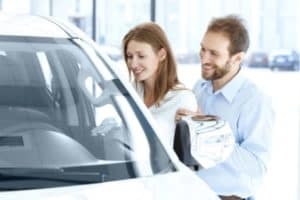 You don’t need perfect credit to purchase a car, truck, SUV or van from Speedcraft Nissan as we happily provide the best in local Providence bad credit auto loans. High balance of credit card debt. Bad or poor credit scores. Have had a car or other vehicle repossessed. Have open collections account on your credit report. Charged off credit cards, utilities or medical bills. Speedcraft Nissan will help you re-establish good credit with an auto loan you can afford on a car you actually want. Apply online or contact us today and let’s discuss how we can help you. Our special finance team is dedicated to helping with bad credit auto loans.